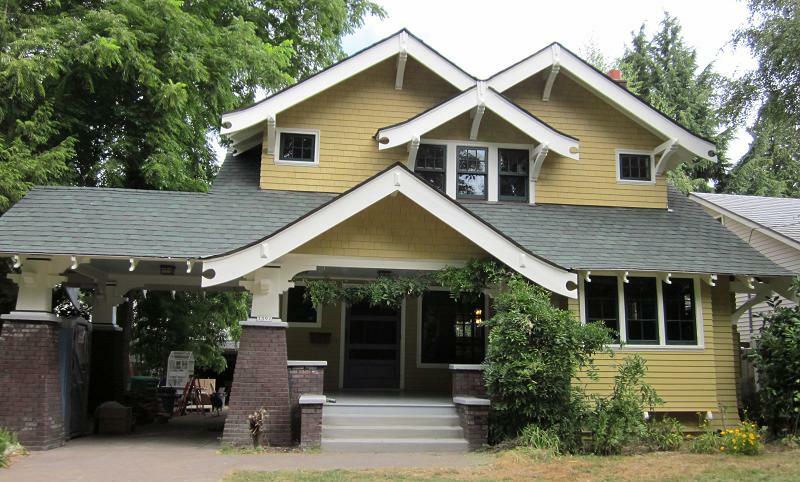 Restoration/remodel of a 1912 Craftsman in the Laurelhurst neighborhood of Portland, Oregon. This room was painted white when we purchased the house. The paint was stripped and the old growth douglas fir was stained. This room was gutted and totally replaced with new douglas fir cabinetry. This room was painted white when we bought the house. We stripped the paint and stained the wood.